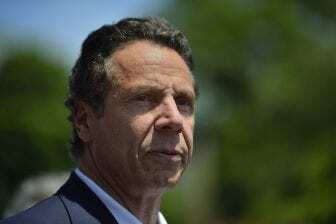 ALBANY, NY (WSKG) – Governor Andrew Cuomo handily won in a democratic primary against actor Cynthia Nixon. Cuomo’s current lieutenant governor Kathy Hochul also won, as did Cuomo’s choice for attorney general New York City Public Advocate Tish James. A large campaign war chest, substantial spending on television ads , and union support paid off for Cuomo, as he beat back a primary challenge from the left from actor and education advocate Cynthia Nixon. Cuomo did not appear in public, but in recent days focused his message not on his accomplishments or on his opponent, but on his fight against President Trump and Trump’s policies, and it seems the strategy paid off. Cuomo held multiple get out the vote rallies in the days leading up to the primary. Nixon told supporters that she was “proud” of what her campaign accomplished. But she expressed some bitterness over dirty campaign tactics, including a mailer to Jewish voters approved by a top aide to Governor Cuomo that falsely accused Nixon of anti-Semitism. Nixon attends a synagogue and has Jewish children. “My family was slandered,” Nixon said. Nixon says she’s pleased that she pulled Cuomo to the left on several issues, including legalizing marijuana, and that she caused him to spend nearly half a million dollars a day on the race. Cuomo’s lieutenant governor, Kathy Hochul, more narrowly defeated New York City Councilmember Jumaane Williams, who is better known in New York City. 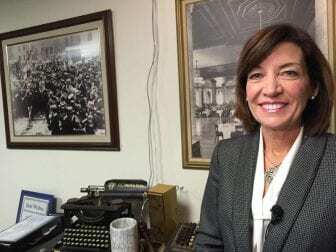 Hochul sounded relieved when she spoke to reporters in Buffalo Thursday night. And- the Democratic Party establishment’s choice for Attorney General, New York City Public Advocate Tish James, won the AG primary, ahead of Fordham Law Professor Zephyr Teachout, Congressman Sean Patrick Maloney and Buffalo attorney Leecia Eve. While Cuomo and the other statewide candidates who ran with him kept their seats, some former members of a controversial break away group of Democrats in the Senate lost to their primary challengers. Members of the Independent Democratic Conference were blamed by many democrats on the left for helping keep Republicans in power in the State Senate for the past several years. Among those who lost – former IDC leader Jeff Klein.